Last Saturday EDEL Technology consulting (www.edelitconsult.com ) was adjudged this year’s Ghana Information Technology and Telecom Awards (GITTA), “IT consulting firm of the year”. EDEL Technology Consulting is a Global brand that uses the combination of modern project management techniques, Standard software engineering and industrial strength architecture to deliver technology solutions to its clients, with projects delivered in West Africa and UK. EDEL prides itself as one of the best in the IT industry in Africa. 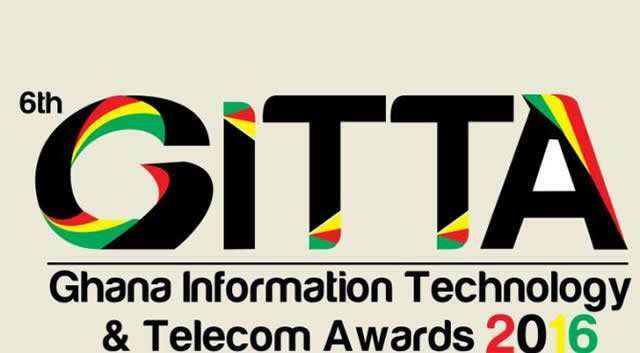 The GITTA awards is the only awards in Ghana which recognizes the excellence in the ICT industry. It is the most respected awards that celebrates excellence in innovation, product development and service delivery. 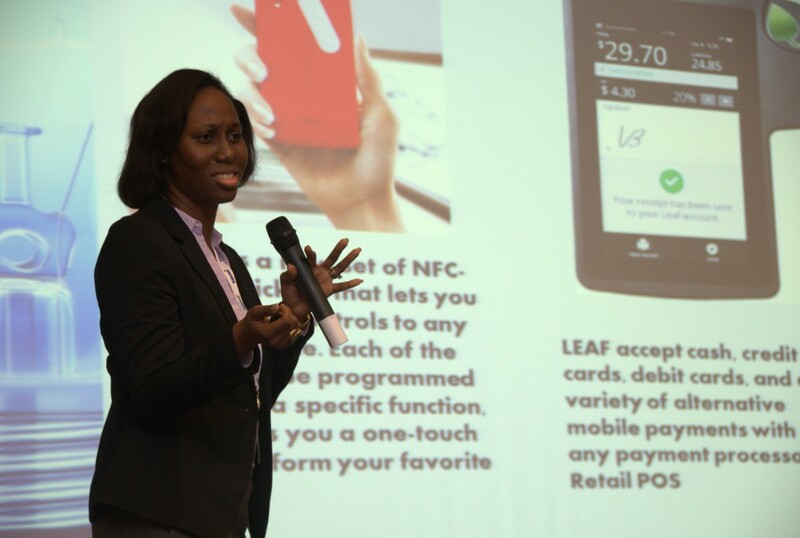 According to the CEO of EDEL Technology Consulting, Ethel Cofie, “winning throws a challenge to us keep being the best and to improve on our services delivered to our clients”. 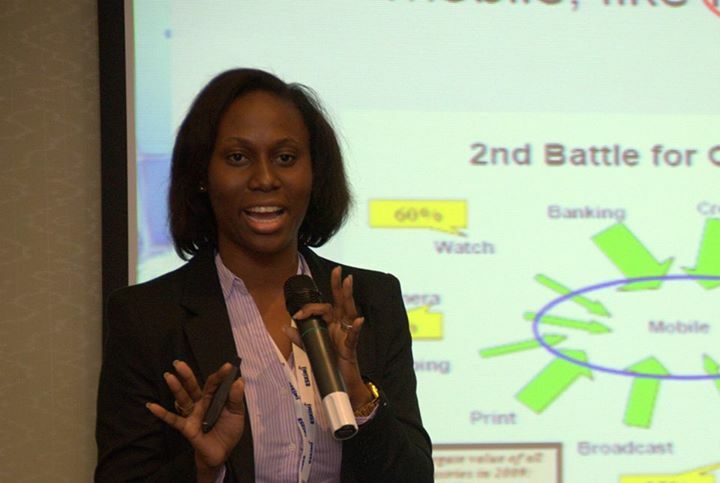 EDEL Technology was also recently judged one of the top 100 globally competitive companies in Ghana . Kodak, the company that democratized camera and disrupted an industry (at one point had 90% of market share) was left behind the digital camera revolution and is now the biggest loser in that category. The Nokia story is similar, the one-time reigning market share holder of the mobile phone did not innovate enough to stay in business. Aramex: Founded by Wamda Chairman Fadi Ghandour, Aramex is the region’s leading logistics company. It used its position to help startups gain access to preferential rates on shipping among other services. Moreover, the company supported entrepreneurs through mentorship, incubation, and intrapreneurship opportunities. The Zubair Corporation: For entrepreneurs in Oman, The Zubair Corporation – a large conglomerate specializing in energy, logistics, engineering, and construction – launched an incubation center aimed at cultivating new enterprises. DP World: The Turn8 accelerator in Dubai, created by executives at DP World. The Emirati marine terminal operator launched the accelerator in an attempt to enhance entrepreneurship in the Emirates. So far, 23 companies have benefited from Turn8’s services. Vodafone Egypt: Like other corporates in the region – most notably Saudi telecom STC and the Middle East Broadcasting Company – Vodafone created an investment fund in Egypt designed to take equity stakes in promising startups. Unlike STC and MBC, however, the Vodafone fund is dedicated to investments in mobile and telephone ventures. Presumably, the investments are made with a mind to eventual acquisition of technology or talent. Cisco: The American company has partnered with AMIDEAST to provide training programs to entrepreneurs. The Cisco Entrepreneurship Institute is active in Lebanon, Morocco, Tunisia, Oman, and Palestine. Before corporates start engaging, they need to figure out what their quid pro quo is; what they will get in exchange for the investment they are putting in. Are you looking to make your organization more innovative and willing to take risks? Solve key business problems in a quicker and more cost–effective way? Create awareness of new market trends and emerging technologies? Acquisition: some industry giants, for instance google, Cisco, Facebook etc. have grown their businesses by getting hold of startups. They do this by either investing in startups or completely acquiring them; this move helps them to get fresh expertise and new technology to support their businesses. So instead of companies going to already made companies, they can rather go to startups for fresh ideas; which in turn helps startups to grow. There seems to a proliferation of smaller companies acquiring and consolidating rather than bigger corporates acquiring startups. Collaboration: A perfect example is the ‘Unilever Foundry’, a program that promotes collaboration between corporates and startups. Unilever Foundry is a platform that Unilever uses to provide single entry for innovative startups who want to partner with them. Startups also get to apply for funding through Unilever ventures from the same program. As part of the three-pronged program, startups can submit ideas to the Foundry site which will host an ongoing series of projects on different themes. Successful applicants will get $50,000 and a chance to create a pilot program with a major Unilever brand. At launch, the projects on the Foundry site revolve around sustainable living, digital retail experiences, smart kitchens, and quantified self. The second main element is mentoring—startups will have access to Unilever marketers over a period of three months. And third, the Foundry is linked to the company’s existing venture capital arm, Unilever Ventures, giving strategically relevant startups in the digital marketing, mobile, content, e-commerce, analytics and data spaces, a chance at funding. For startups to flourish they need to engage with each other for support and networking purposes. Goal: To make investments in 10 startups developing financial services technology, in areas like digital banking, payment solutions, and securities trading platforms. On 5th April Asoriba a startup application development company from Ghana was added to the 10 startups to take part in the program for 2016. Goal: “Founders are given an unfair advantage through the power of Coca-Cola and the opportunity to do what most can only dream about. Coca-Cola gets early access to new, fast-growing markets and proven growth opportunities for our business.” Once the team validates its idea, Coca-Cola makes a minority equity investment. Program has no application process; founders are selected by Coca-Cola through references and the company’s network. Goal: Provide seed funding for startups that have the potential to fundamentally transform important markets for Deutsche Telekom. Startups receive capital to establish market traction as well as added benefits like co-working space, mentoring and introductions to Deutsche Telekom. Goal: Back ten startups in the media and entertainment space, with up to $120,000 in funding each. Through the Disney Accelerator, select companies will again access to the range of creative expertise and resources of The Walt Disney Company to help them develop their innovative new entertainment experience and products. Goal: grow education start-up from their initial Angel funding and a working beta product to a transformative company that changes education for student success.” Potentially up to $100,000 in investment from Intel Capital. Goal: a global initiative empowering entrepreneurs around the world on their journey to build great companies. We work with startups at every stage of maturity to provide the tools, resources, knowledge and expertise they need to succeed.” Also promotes the use of Microsoft Azure cloud services and other Microsoft products. Goal: to host 10 companies for a three-month immersive, mentor-driven startup. The program aims to leverage the success of the Nike+ platform to support digital innovation by connecting with companies that share Nike’s commitment to help people live more active lives. Some companies have entrepreneurs in residence (EIR) programmes, in which startup founders spend some time within the offices of large corporations. This helps the larger company open up ‘innovation pathways.’ This EIR model is more popular, however, in business schools and VC firms. Startups can be a real strategic advantage for large companies, who must investigate and assess deliberate mechanisms for engaging with entrepreneurs, advises Krisztina Holly, EIR, City of Los Angeles, and founding executive director of the Deshpande Centre for Technological Innovation at MIT. Some technology areas and business models will take a long time to mature, such as smart cities powered by Internet of Things (IoT). This calls for long-term engagement by large players via forums like a Special Interest Groups (SIG). For example, TiE Bangalore has launched an IoT, SIG with large players like Intel, Cisco, Bosch and Infosys working with startups in the areas of Design for Manufacturing (DFM), testing and interoperability. Organizations whose key business model is to support startups can organize and host regular events for capacity building, mentorship between corporates, investors and startups. These events will open up new avenues for ideas generation, validation and business deals for the startups. The 2014 GE Global Innovation Barometer survey reports that 85 percent of corporate respondents said, collaboration with startups and entrepreneurs will drive success for their organization in the future. This indicates how engaging startups can be beneficial to corporate bodies. In summary, large companies must actively engage with startups for new ideas, shelf-ready technology and fresh talents to drive their businesses. The problem: The African continent’s labour force will be 1 billion strong by 2040, making it the largest in the world, surpassing both China and India (McKinsey Global Institute, 2010). 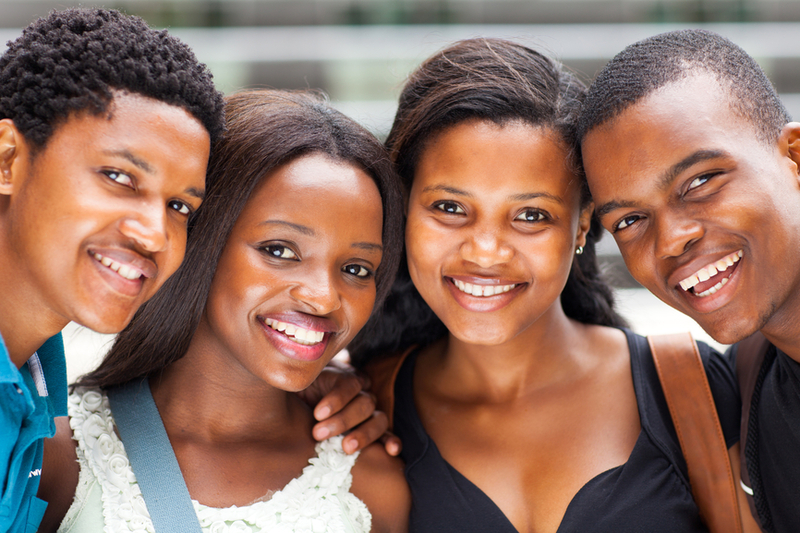 In Africa youth unemployment occurs at a rate more than twice that for adults, Youth account for 60% of all African unemployed ( World Bank). Solution: M-Ablodé is a Micro working platform that enables individuals and businesses globally to coordinate the use of human intelligence to perform tasks that computers are currently unable to do. The micro workers will be based in emerging markets specifically Africa. The Customers (Requesters) will be able to post tasks, such as content creation, image identification, acquiring information, data input, data verification, proof-reading, translation, copy-editing, graphic design, information gathering (e.g. GPS data, Sentiment Analysis). Telecoms giant Ericsson expects mobile subscriptions in sub-Saharan Africa will increase to 930 million by the end of 2019, making Africa the mobile first continent. This has led us to develop M-Ablodé . The U.S. African Development Foundation (USADF) is a small but effective tool in the U.S. Government’s Foreign Assistance toolkit. USADF is on the frontier of development, working directly with Africans on the ground to combat some of Africa’s most difficult development and foreign policy challenges with programs to increase the U.S. diplomatic and development presence in the hardest to reach areas of extreme poverty. USADF awards small grants (up to $250,000) for technical assistance and capacity building to grassroots organizations, cooperatives and community enterprises that strengthen local institutions and achieve lasting impact. The grants help organizations create tangible benefits such as increasing or sustaining the number of jobs in a community, improving income levels, and addressing social development needs. EDEL Technology is a leading digital products consultancy. We deliver software and mobile development, consulting and training services. We are passionate about solving our clients’ problems, and we bring a fierce focus so we get the job done right, every time. By sharing our knowledge and understanding our clients’ businesses, we deliver the right results for them. The company’s reputation is built upon solving complex business problems to provide reliable and scalable business solutions. The EDEL Technologies team has diverse experience in technology solutions delivery across the continent with projects delivered in Ghana, Sierra Leone, Nigeria, and Gambia. Structured (closed) interviews, where every single information to gather is decided in advance, they follow pattern and matter of discussion firmly. Non-structured (open) interviews, where information to gather is not decided in advance, more flexible and less biased. One-to-one interviews which are held between two persons across the table. Group interviews which are held between groups of participants. They help to uncover any missing requirement as numerous people are involved. Organization may conduct surveys among various stakeholders by querying about their expectation and requirements from the upcoming system. A document with pre-defined set of objective questions and respective options is handed over to all stakeholders to answer, which are collected and compiled. A shortcoming of this technique is, if an option for some issue is not mentioned in the questionnaire, the issue might be left unattended. Team of engineers and developers may analyze the operation for which the new system is required. If the client already has some software to perform certain operation, it is studied and requirements of proposed system are collected. 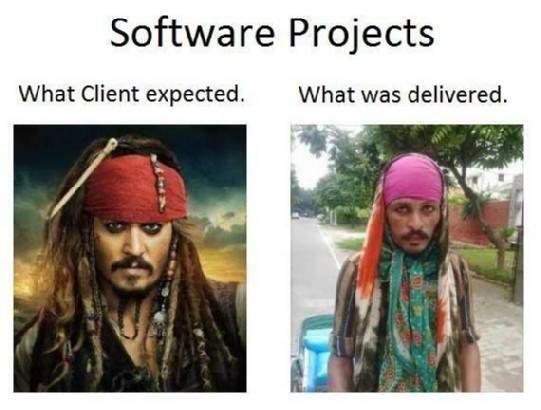 Every software falls into some domain category. The expert people in the domain can be a great help to analyze general and specific requirements. An informal debate is held among various stakeholders and all their inputs are recorded for further requirements analysis. Prototyping is building user interface without adding detail functionality for user to interpret the features of intended software product. It helps giving better idea of requirements. If there is no software installed at client’s end for developer’s reference and the client is not aware of its own requirements, the developer creates a prototype based on initially mentioned requirements. The prototype is shown to the client and the feedback is noted. The client feedback serves as an input for requirement gathering. Team of experts visit the client’s organization or workplace. They observe the actual working of the existing installed systems. They observe the workflow at client’s end and how execution problems are dealt. The team itself draws some conclusions which aid to form requirements expected from the software. Prototypes can be very effective at gathering feedback. Low fidelity prototypes can be used as an active listening tool. Often, when people can not articulate a particular need in the abstract, they can quickly assess if a design approach would address the need. Prototypes are most efficiently done with quick sketches of interfaces and storyboards. Prototypes are even being used as the “official requirements” in some situations. Gathering software requirements is the foundation of the entire software development project. Hence they must be clear, correct and well-defined. Get in Touch With Us Now,To Help You Grow Your Business!